Week 10 of the baseball season gave us many great moments, but none greater than the debut of Washington Nationals’ pitcher, Stephen Strasburg. The Cincinnati Reds had a down week losing 4 of 7 and still managed to increase their lead on the NL Central. The New York Yankees played their way into a tie for the AL East lead with the Tampa Bay Rays. How will this effect the players earned their checks this week, and which ones need to donate it to the “oil spill relief”? No. 1 – The Rays keep a slight edge over division rival Yanks this week. The Rays pitching has cooled off considerably. In the last 10 games they’ve lost 6 and given up more than 6 runs in 4 of those games with 14 runs being the high. Manager Joe Maddon doesn’t seemed to be panicked. No. 1 – The Yankees are 7 of 10 and are doing this with a sluggish bat from Alex Rodriguez, who is having problems with his hip again. I think they may want to try hooking him back up with Madonna so he can have access to her personal trainer. No. 2 – The San Diego Padres season makes a great story, and it’s interesting to see which player will keep the incredible run going. Eventually the Los Angeles Dodgers, San Francisco Giants or Colorado Rockies will over take this division. No. 3 – The Reds third basemen Scott Rolen is having an MVP-type season leading the Reds in several major offensive categories. A great combination of speed and power should propel this play well into the second half. No. 4 – The Braves keep getting stronger and stronger, and that is a bad sign for the Phillies. The Phils don’t have to worry about the New York Mets because they will choke, but the Braves manager Bobby Cox and veteran leadership like Chipper Jones could carry this team. Watch any MLB game on the MLBN and other select networks, or visit your team’s website. No. 26 – The Seattle Mariners have won only 2 of 10 and fallen 11 games behind the Texas Rangers. I like the fact that they at least tried to compete, but this roster just isn’t working out. There are rumors of Cliff Lee being traded to the Yankees. No. 27 – The Cleveland Indians got to face Strasburg on Sunday and looked like the little leaguers that most of them are. They called up young talented catcher, Carlos Santana, and Adam Dunn ran him over like a Mac truck hitting a moth on the freeway. No. 28 – The Arizona Diamondbacks showed signs of improvement this week and have now won 6 of 10. When you get excited about a two-game winning streak, its time to reevaluate. Two-in-a-row isn’t a streak, it’s a repeat, and in the case of the D-Backs, it’s probably an accident. No. 29 – The Pittsburgh Pirates were destined to join the bottom group, but managed to play well until recently. The Pirates have lost 8 straight games and reminded us why they have been one of most pitiful franchises over the past several years. No. 30 – The Baltimore Orioles are playing for the kind of record no organizations want — worst ever regular record in baseball history. The O’s next 12 games are against National league teams. I’m sure the Giants, Padres, Florida Marlins and Nationals are looking forward to that Interleague match-up. 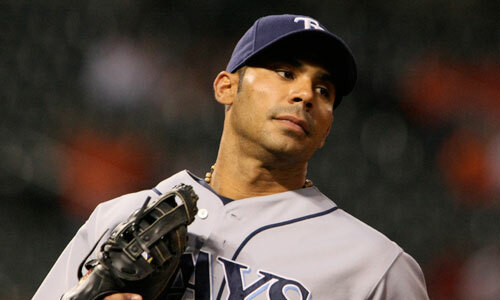 Although the Rays have struggled, they finally got a monster week from power hitter Carlos Pena. Pena had 8 hits this past week and 6 of them went for homeruns. Pena also scored 9 runs and had 9 RBIs. The Rangers Josh Hamilton was dialed in at the plate this past week, especially with runners in scoring position. Hamilton hit .370 with 4 HRs and 13 RBIs. The Rangers have found a special pitcher in Colby Lewis and he should surely improve with the tutelage of Nolan Ryan. This week Lewis pitched 15 innings only giving up 3 runs and striking out 15 (10 in a game against the Milwaukee Brewers). This past week the Detroit Tigers added one more struggling product to the city of Detroit because of the poor batting performance Miguel Cabrera displayed. Cabrera hit .136 with only 4 RBIs. The only positive thing about his play was 2 of 3 hits he made went for HRs. The Rays starting pitching is going downhill, and James Shields is a big reason. Shields recorded his fourth straight loss by giving up 10 runs in 3.1 innings. The Nationals slugger Dunn didn’t only beat up Indians catcher Santana, he also put a hurtin’ on the ball. Dunn hit .455 with 4 HRs and knocked in 7 RBIs. A big contributor to the D-Backs success this week was from Chris Young. Young hit .333 with 3 HRs and scored 6 runs. Young also stole three bases. They are going to need more weeks like this from offensive players if they want to steal games. There may be other players more worthy of hero honors this week, but Strasburg’s performances were quite remarkable. 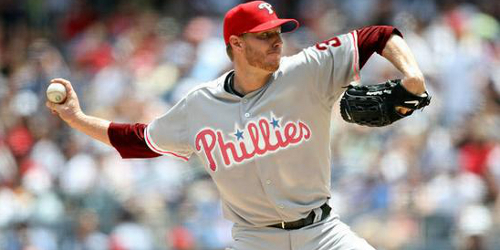 Strasburg recorded 2 wins with a 2.19 ERA in 12.1 innings, with 22 strikeouts (14 against the Pirates). I went to the game between the Dodgers and St. Louis Cardinals, June 7. When we left, my girlfriend said, “We paid all this money to watch Albert Pujols. What’s so special about him?” I had no defense since he went 0–4 at the plate and finished the week going 3–22 with no HRs. The Marlins have tons of young talent they are excited about, and one of those players is starting pitcher Ricky Nolasco. Nolasco managed to only make 2.1 innings against the Rays and gave up 5 runs (surrendering 3 HRs).